“When President Trump spoke by phone with Sen. Richard J. Durbin around 10:15 a.m. last Thursday, he expressed pleasure with Durbin’s outline of a bipartisan immigration pact and praised the high-ranking Illinois Democrat’s efforts, according to White House officials and congressional aides,” the Washington Post writes. “The president then asked if Sen. Lindsey O. Graham (R-S.C.), his onetime foe turned ally, was on board, which Durbin affirmed. Trump invited the lawmakers to visit with him at noon, the people familiar with the call said. 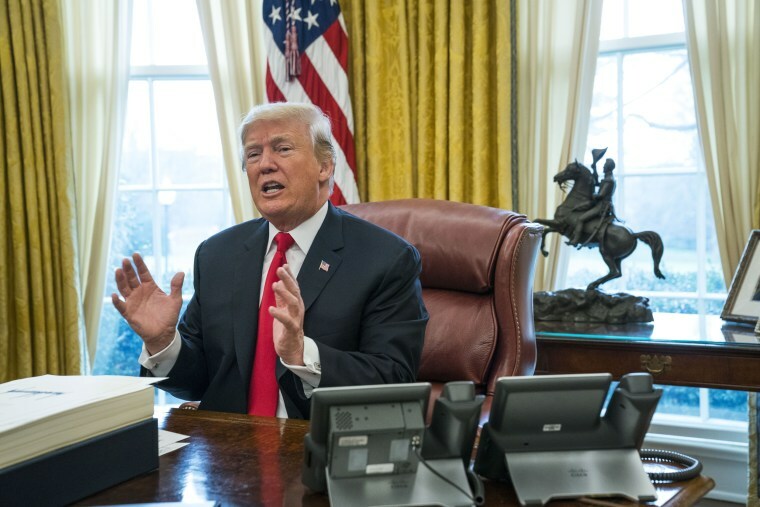 At 3:30 pm ET, the Democratic National Committee holds a conference call to discuss the first year of “Trump’s economy.” Sens. Kirsten Gillibrand and Elizabeth Warren will participate on the call. The House Intelligence Committee will question Hope Hicks along with Steve Bannon and Corey Lewandowski. Organizers of last year’s women’s march are dealing with competing objectives, writes the New York Times. “For Businesses, Donald Trump’s First Year Is a Net Success,” the Wall Street Journal headlines. The Washington Post delves into Kevin McCarthy’s relationship with Donald Trump. Senate Democrats are one vote shy of overriding the FCC’s decision on net neutrality. There are special elections today in Wisconsin and South Carolina. MD-SEN: Chelsea Manning says she’s running. NJ-SEN: Phil Murphy will be sworn in today.